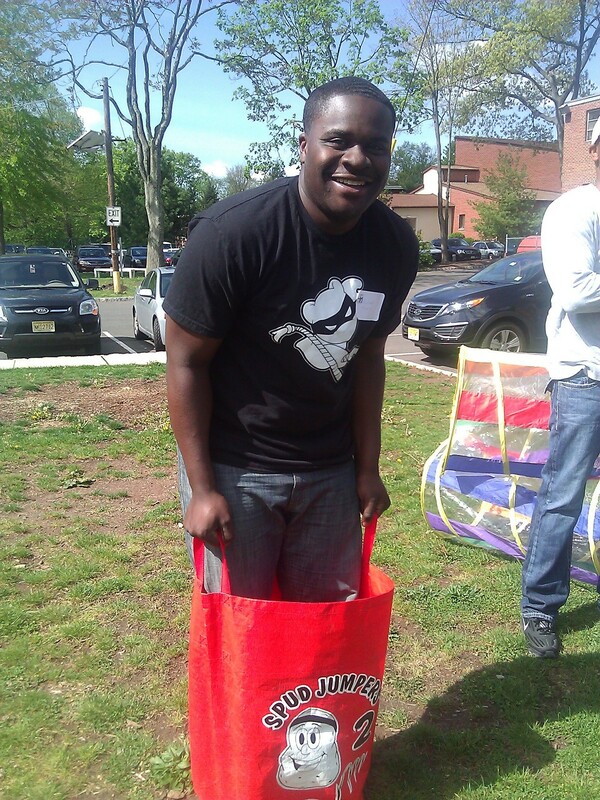 Keep your eyes peeled, you don’t want to miss the smashing job this Enterprise volunteer did in the potato sack race during a Fit & Fun workshop at a school in Plainfield, NJ! Who doesn’t like to celebrate after a long day of volunteering? 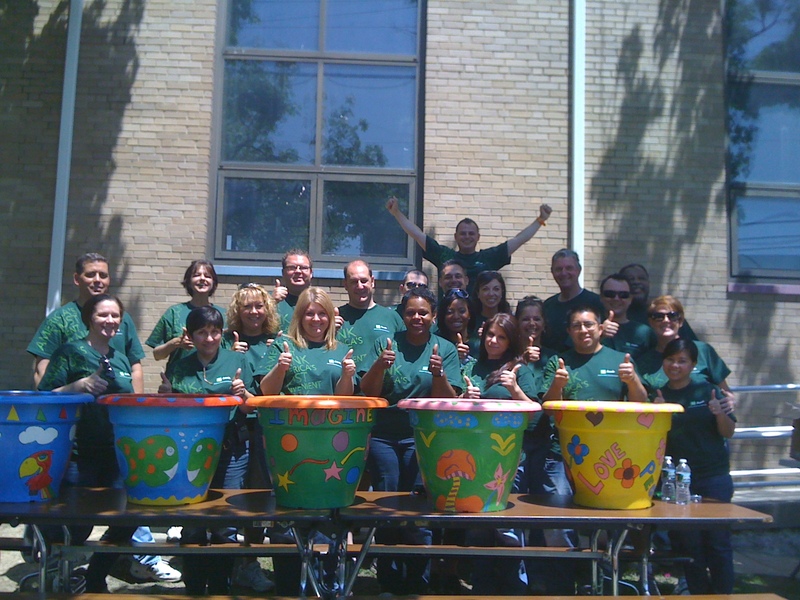 These TD Bank volunteers were proud of all the hard work they have accomplished at an agency in Monmouth County, NJ. Keep up the great work TD Bank. 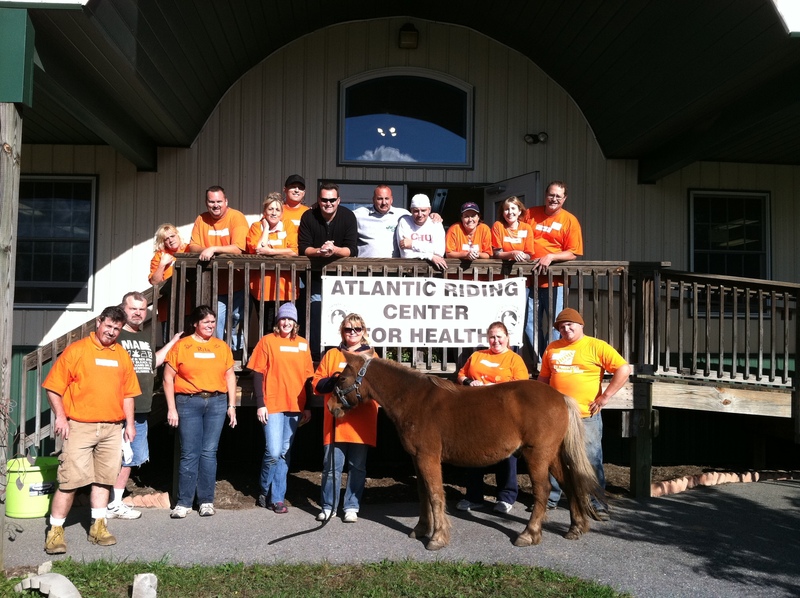 To learn about ways to get your company involved with Jersey Cares, click here. Home Depot employees remained in stable condition while volunteering at this Atlantic County agency. Get your company involved with Jersey Cares today! Click here to learn how. 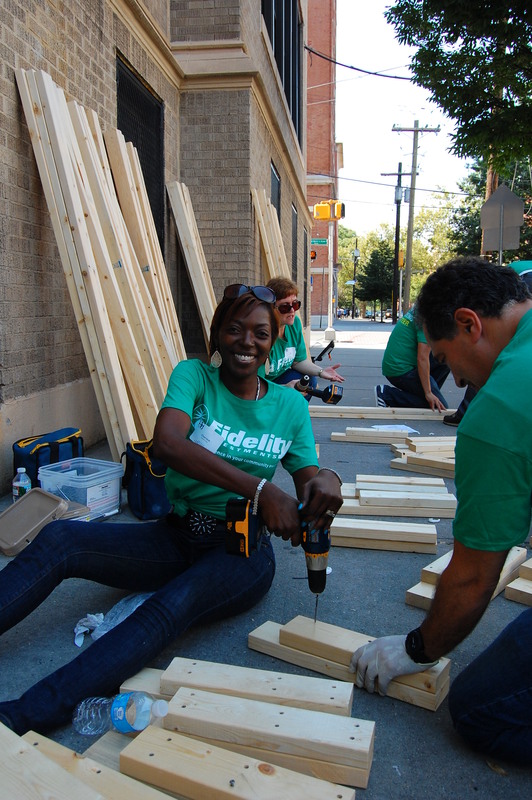 They are a bit of work, but once you know the drill, park benches are a blast to assemble, just ask these Fidelity volunteers! 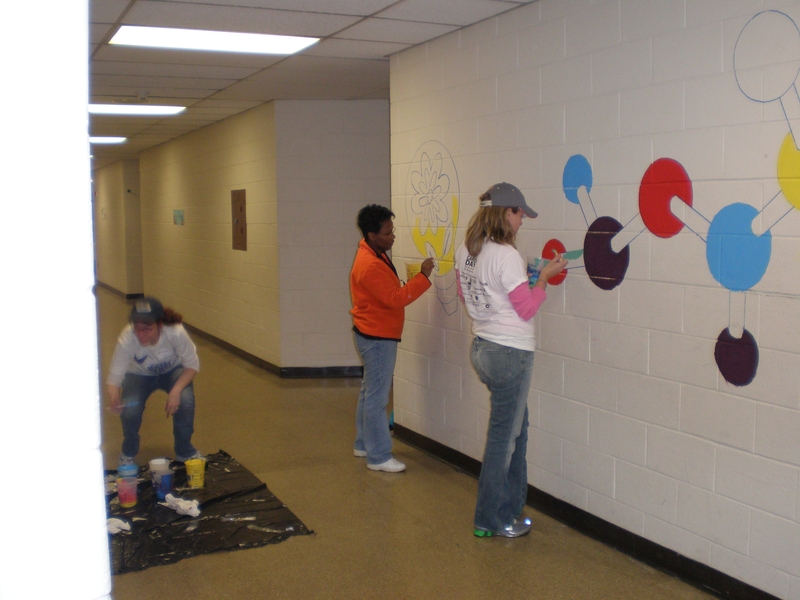 These Jersey Cares Day Volunteers were so well behaved, we didn’t have to keep an ion them while they painted this science themed mural in a Newark, NJ public school. 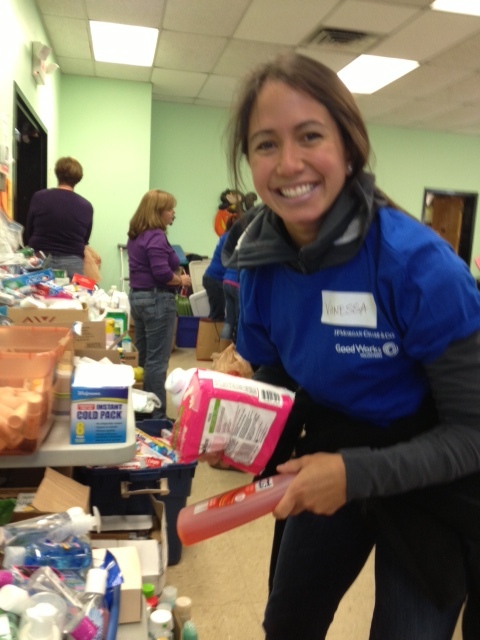 Thank you so much to Chase Volunteers for doing an amazing job sorting donations and helping residents clean out their homes after Hurricane Sandy. Get involved today in a Sandy Relief project. Click here and type “disaster” into the Keyword box to find a Sandy Relief project in your area. Even walls need a new winter coat (of paint)! These Imclone volunteers are rolling out the good times while freshening up this agency in Plainfield, NJ! Get your company involved in Jersey Cares today. Click here to learn how.